These photos were taken by various guests at the Ake Festival. 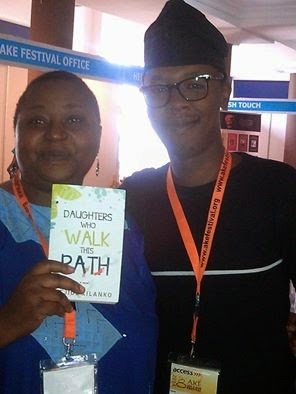 The Ake Arts and Book Festival 2014 was tremendous. 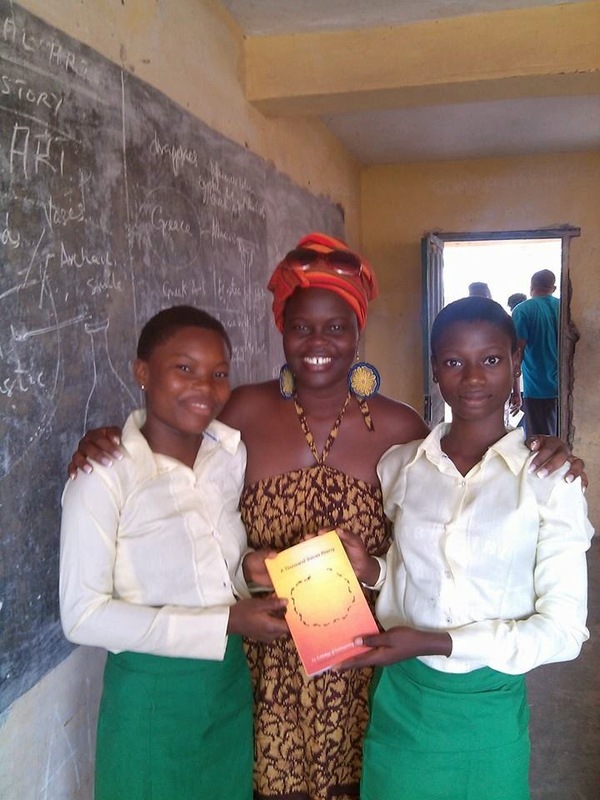 Lola Shoneyin, the Director and to the wonderful team, what can we do to help out next year? All the nights were short except the first one, with a 3 hour bus ride from Lagos Airport to the June 12 Cultural Center. The Air conditioning and open door matatus alongside us, with conductors standing astride, did not make the time go any faster. They were just a reminder that Nigeria is not Uganda. Also, everyone drives a new car. What’s that about? It was obvious from the dinner that first night that God created so many fine looking people and said, “They shall be called writers.” This festival was not for the faint at heart. No one’s steed could withstand that. No Sir. 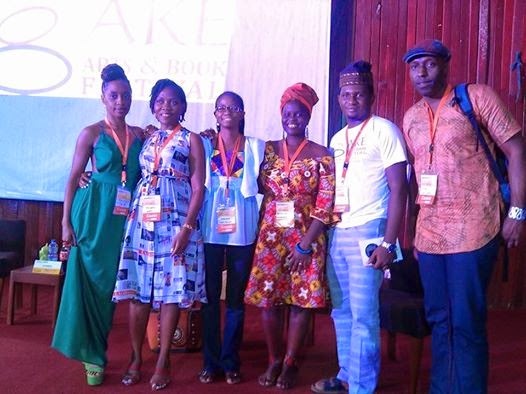 The heart flutters and betrayals notwithstanding, the festival was at the crest of literary power in many ways, possibly the synergy of publishers and their authors, feminists and past Presidents (Former President Obasanjo was there) and the poets on their dance floor. The connectivity was scattered and yet absorbed at the same time. The film, October 1, directed by Kunle Afolayan and written by Tunde Babalola, was an incredible platform of traditional and cultural beliefs, the many faces of National and personal independence and more deeply, sexual abuse against children. The film had lots going on and some can arguably edit out a few scenes but it was overall an intelligent piece of work that has positively changed my opinion of the Nigerian film industry. It’s a film with universal appeal, which grossed 300,000 US Dollars in five weeks and Netflix also contacted them. It’s a good thing. School tours: In groups of about five, we all headed to different schools for, well, a school tour. 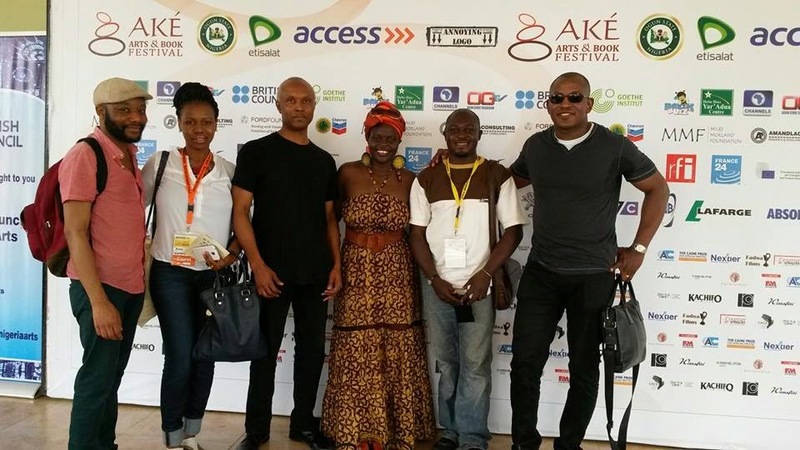 My fabulous team had Jekwu Ozoemene (how can you not love this banker with the abs), Adenike Campbell –Fatoki, author of historical fiction, Thread of Gold Beads and the always friend, Richard Ali, who has and continues to be a tremendous support to BN Poetry Foundation. We visited Gateway Secondary School, a public school about ten minutes from the June 12 Cultural Center. The literature class in particular-such confidence in knowing what they wanted to achieve in life, quite amazing. I knew what I wanted at 29 years, I think. Visiting schools is important so that the students get a peek into the various alternatives ahead of them, the creative abundance of choice. Mutation and Mutilation: Feminism in Africa. A well-thought out panel with Bissi-Ayedele Femi, founder of African Women Development Fund, Iheoma Obibi of Intimate Pleasures, you all need to drop by, Zukiswa Wanner, Molara Wood, Nomboniso Gasa, Ayisha Osori, Edwige-Renee DRO and Ukamaka Olisakwe Evelyn. Bissi, an unapologetic feminist, explained that it’s about mutual respect. It’s not about destabilizing marriages and just because women are born women, they should not be demeaned. Later in the day, I had the pleasure of launching A Thousand Voices Rising, an African contemporary poetry anthology, produced by the BN Poetry Foundation. Several of the contributors like Rotimi Babatunde, Abubakar Adam Ibrahim, Richard Ali and Clifton Gachagua read their poems. Fubaraibi Benstowe, shortlisted poet of the BN Poetry Award 2014, read from his piece, Orukoro Dancer.The launch closed with autographs and a recitation of Ssebo gwe wange. Different reactions each time. It’s impossible to highlight all the awesomeness of Ake. Call Mr. Robeson, the one man act produced by Tayo Aluko was phenomenal and energetic while historically deep, performances by the remarkable Bassey-Ikpi with multiple meanings of identity and feminism, Kei Miller-Jamaican award-winning poet, Efe Paul with his political piece, Jumoke Verissimo, Chijioke Amu-Nnadi, author of several poetry collections, Dr. Dami Ajayi-it got real in there, especially poetry dipped in palm-wine. And while we all strut about from one session to another, the most talented photographer and artist, <p>Victor Ehikhamenor, showed us his exhibition, The Lion’s Lair, photos of Prof. Wole Soyinka at his home. Honestly though, I would love to read Victor’s secret photo diary, the photos he keeps for himself. Vera Butterbusch, German photographer, likewise revealed interesting shots of various Nigerian social landscapes, like the Masquerades. What’s a literary festival without a dance party and swimming? We laid it all out there. The music called and we responded. How else could we show our appreciation to the Ogas and first ladies that had put such a great event together? It was a bevy of rams on spit, tangled feet, hands where they shouldn’t have been and sweaty sweaty sweaty bodies. Prof. Rem Raj, President of Association of Nigerian Authors, celebrated his birthday just after midnight as well. And the ghosts at Continental Suites didn’t follow Lizzy Attree the Caine Prize Director, or myself, to the swimming pool that last night either. Heck! Maybe they couldn’t swim.